If you’re an American of a certain age, you probably remember The Love Boat. It was a corny sitcom that ran from 1977 to 1986 and was set on a cruise ship. 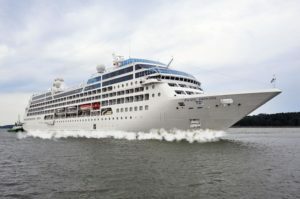 But beyond the campy fun, the show was notable for something else: It was the first successful example of content marketing in the travel business: The action took place aboard the Pacific Princess, providing invaluable exposure for Princess and the entire cruise industry. Carnival’s shows aren’t glorified infomercials: They’re legitimately entertaining shows with recognizable hosts who travel the world to showcase what viewers can experience by cruising. The product placement is soft-pedaled: You might see a ship at port in the opening scenes, but the experiences tend to be land-based. Many of the company’s upscale brands are featured on the shows, including Cunard, Seabourn, Holland America, and Costa. Carnival is essentially using the content it produces to promote the cruising lifestyle and keep it top-of-mind among consumers. In fact, they’ve done research showing that viewers of the shows are twice as likely to strongly consider a future cruise than non-viewers. Rosewood Hotels & Resorts launched an online-only magazine last year called Rosewood Conversations. It publishes original, magazine-quality articles focused not on the hotels themselves, but on the destinations where they’re located, many of them featuring insights from local personalities, and written by contributors to Condé Nast Traveler, The New York Times, and others. Away, the luggage company, has its own magazine (print and online) called Here. 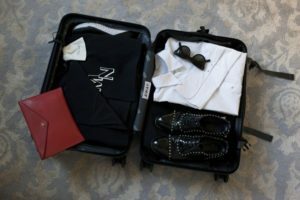 It publishes hipster-ish guides to various cities (Lisbon, Mexico City), personal essays, packing tips (of course) and profiles of musicians, designers, and other celebrities—some of them photographed next to their Away suitcases. Airbnb partnered with Hearst to produce a quarterly print magazine called Airbnbmag. Some articles are also put up on Medium, the online publishing platform. Airbnb hosts write about where to go in their hometowns, while other articles focus on earthy itineraries and “real” people—in keeping with the sharing-and-caring vibe of the Airbnb brand. Marriott’s Content Studio focuses on branded entertainment, from documentaries to scripted series; the company also produces the editorial platform Marriott Traveler, as well as M Live, a real-time social media command center. 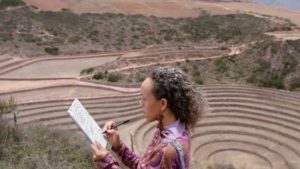 The studio’s efforts include StoryBooked, a video series that follows artists on inspirational trips—thus showcasing how travel, and by extension Marriott hospitality, can fuel creativity. 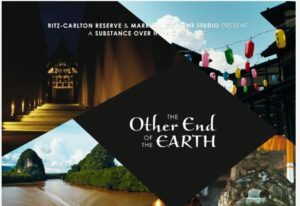 An example of how the luxury brands are getting involved in content marketing is The Other End of the Earth, a cinematic “tone poem” inspired by the pioneering female explorer Nellie Bly and shot at all five Ritz-Carlton Reserve properties around the world. Narrated by Diane Lane, it received its premiere at the Boston International Film Festival in April. Do spend some time and creative energy making sure that the quality is high enough to stand out from the crowd. Don’t expect an immediate return on the investment. Your content is aimed at inspiring consumers at the top of the funnel, and it may take a long time—and repeated exposure to your content—before they decide to book with you. Don’t just talk about your brand or your product, but make your content entertaining and educational, so consumers will come back for more. As always, I welcome your feedback on what’s changing in travel today. I look forward to getting your comments. Let’s keep the conversation going!